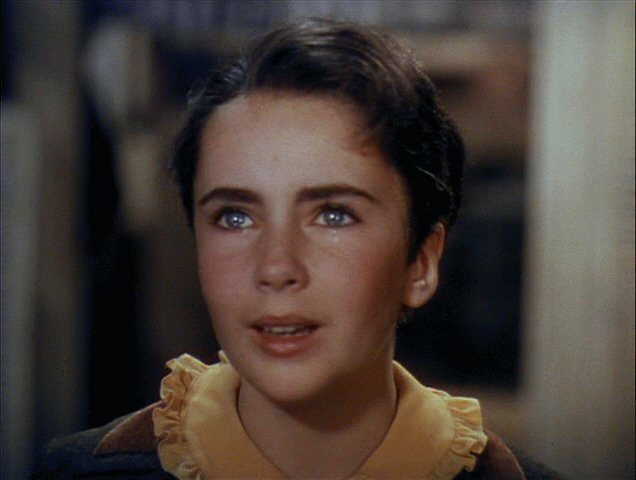 Liz in 'National Velvet'. 1944 film starring Mickey Rooney and Elizabeth Taylor.. Wallpaper and background images in the Elizabeth Taylor club tagged: elizabeth taylor national velvet screencaps mickey rooney 1944 film. This Elizabeth Taylor Screencap might contain picha, headshot, and closeup. A lovely actress in a lovely film!